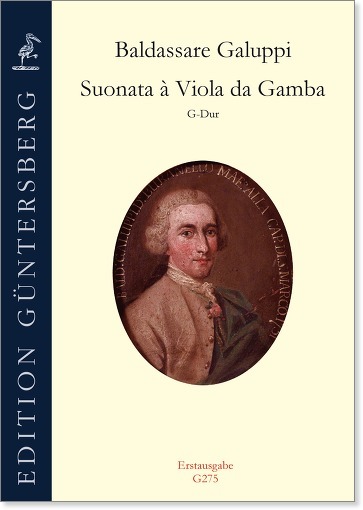 This first edition of the Viola da gamba Sonata by Baldassare Galuppi is a surprise, for until now it was not known that this opera composer had written anything at all for the viola da gamba. The Sonata, which was probably composed in the 1740s, is distinguished by a gallant melodic style against a Baroque background, and has great musical appeal. 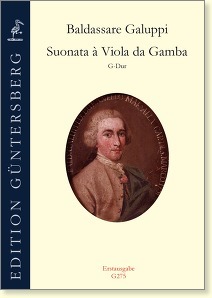 Bettina Hoffmann writes in her Introduction: "For the rather meager repertoire of the eighteenth-century Italian viol, the work of such a talented composer as Baldassare Galuppi is a valuable addition."